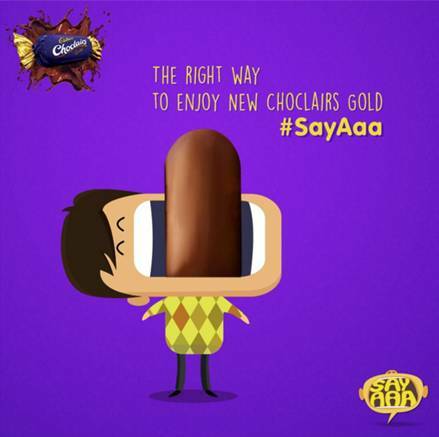 Cadbury Choclairs Gold through the #SayAaa campaign, brought out a big celebration for the big joys of life- chocolate. The campaign was aimed at getting social media dwellers to realise that to enjoy the new Choclairs Gold, one needs to open their mouth really wide. With a well carved social strategy, Cadbury Choclairs Gold managed to make Say Aaa a household term. To make Say Aaa a term of daily use, Cadbury began positioning Choclairs Gold as a BIG chocolate. The first phase of the campaign completely focused on how big the chocolate is and that one needs to Say Aaa to consume it. The next strategic move was to give the audience various options as to how they could have their own fun Say Aaa moments. Consumers were then asked to Say Aaa on Facebook and Twitter and would be rewarded with some really big gifts. During this phase, those who tweeted to Cadbury Choclairs were replied to, with an illustration of their Say Aaa incident in real time, just an hour later. Users were competing for gifts as grand as Micromax Big TV. To support the contest, Cadbury Choclairs used Facebook’s new Carousal ads to stitch together a story. The ad encouraged people to scroll more to know more about the campaign and stressed on a Say Aaa Effect. The carousel advertisement was divided accordingly, one before the campaign could start to explain what Say Aaa is about, then different ways to Say Aaa and finally establishing the user to Say Aaa. 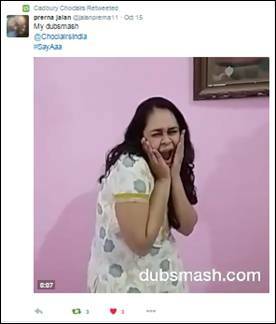 In the second phase of the campaign, Cadbury Choclairs ran another #SayAaa contest wherein the users had to send their Dubsmash videos of different ways of saying Aaa. 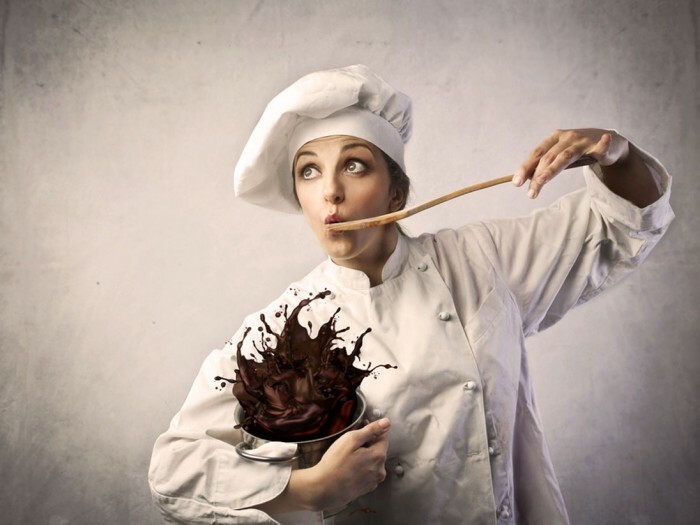 Choclairs created their own brand channel on Dubsmash and had a couple of sounds already installed in them, the users either used the existing ones or used a soundtrack that helped them execute the same. The activity had participants competing with each other for iPhone 6. In addition to the social push, Choclairs ran a web banner that concentrated on the same for a day on MSN. Once a user clicked on the web banner, he was introduced to a bigger screen where through hovering his mouse on a volume button could make the illustration character Say Aaa louder and louder till the Cadbury Choclairs Gold enters his mouth and the screen explodes with a Chocolatey blast just like the TVC. The campaign received 473668 interactions with 470278 likes taking Facebook by fire. On Twitter, Choclairs tweet received over 2.4k re-tweets and 1.8k favourites. #SayAaa trended in India for over five hours with more than three hours at the number one position. The hashtag created a reach of 1,90, 397. 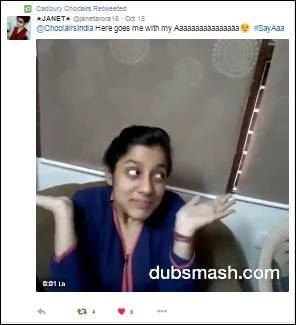 Choclairs managed to strike a chord with the audience with a single hashtag that took users on a chocolatey journey. 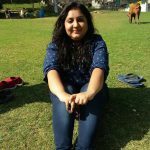 Further, an easy hashtag created high connectivity for users who are bombarded with a million hashtags every day. 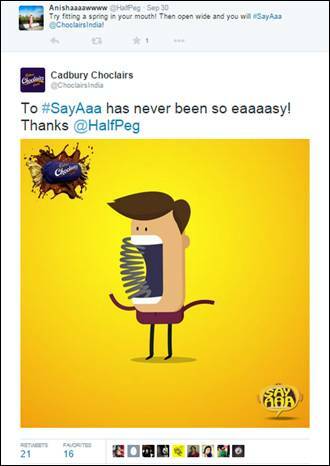 With #SayAaa, Cadbury crafted a new identity for the BIG Choclairs Gold across all social channels.